Properties in Wimborne average 4.5 out of 5 stars. 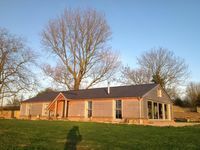 Property 13: Beautiful newly converted Barn nestled in the Dorset countryside . Lovely, comfortable, well equipped cottage. The Granary was our home from home for 10 days. 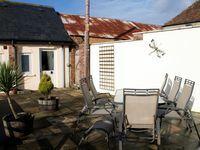 The cottage is spotlessly clean, comfortable and warm, has good quality beds and bedding and the extra bathrooms were essential when our family joined us for some of the time. The kitchen diner is large and well equipped. Lisa and Matt are great hosts, very responsive and friendly. We enjoyed our stay and would definitely book again if we are in the area.